Discover your next holiday adventure in the winding streets of Alvor. This historic town on Portugal's beautiful western coastline, is an unspoiled fishing village that dates back to 716 AD, so we know they’ve had a lot of practice with visitors! Wander the charming streets, visit the famous lagoon, or relax one of the many spectacular beaches on your summer holiday. The beach lies just five minutes walk away from the centre of the village, the perfect place to sunbathe or go for a dip. For those that can't sit still too long, there's water sports available such as windsurfing. There are many other activities to do while holidaying in Alvor. Why not head to Alto golf's 18-hole course for a round or try some horse-riding. By night, holidays in Alvor are all about the restaurants and bars, plus Praia da Rocha, a busier resort, is not far away where there is a larger choice of nighttime activities. 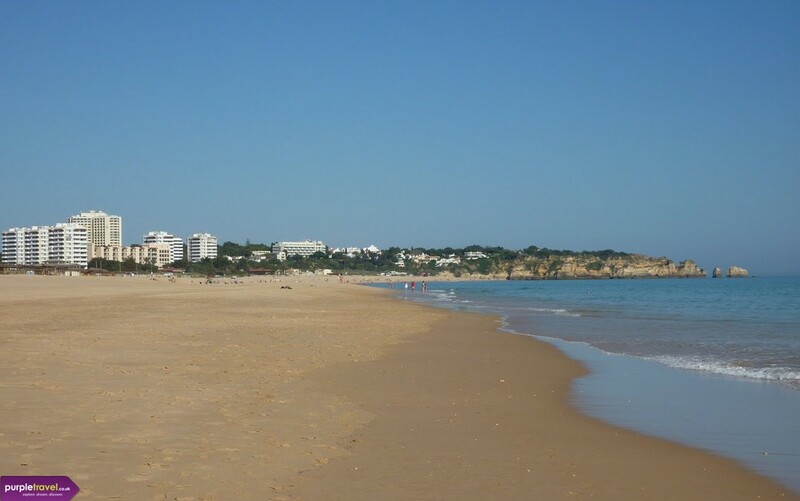 For the best deals on cheap holidays to Alvor then call Purple Travel today and we can help you find the best deals on flights, accommodation and transfers in the Algarve. A quieter, but lovely town. It's definitely not suited to any party animals, but a lovely place. We went with our daughter, son in law and 2 grandchildren and what a lovely holiday. Alvor is a really sleepy little place with a couple of restaurants to chose from. Beach is idyllic and there is lots of areas for walking etc with the little ones.